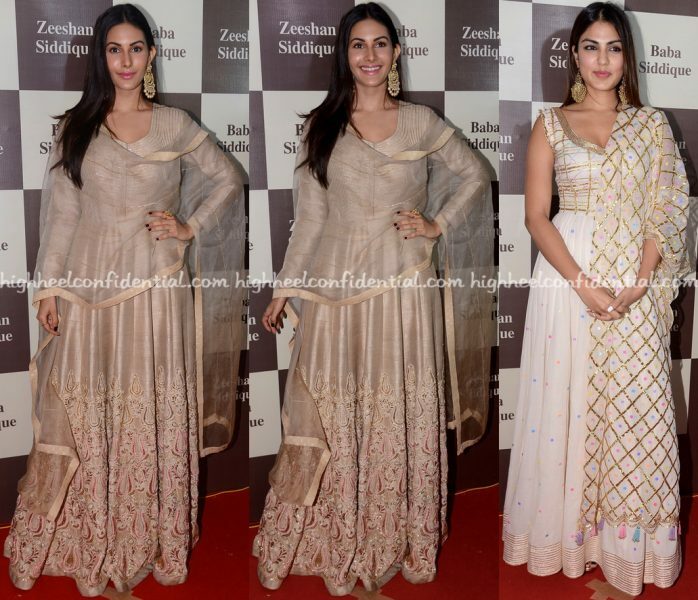 Both Amyra and Rhea were photographed in floor-grazing suits while at a recent iftar party in Mumbai. 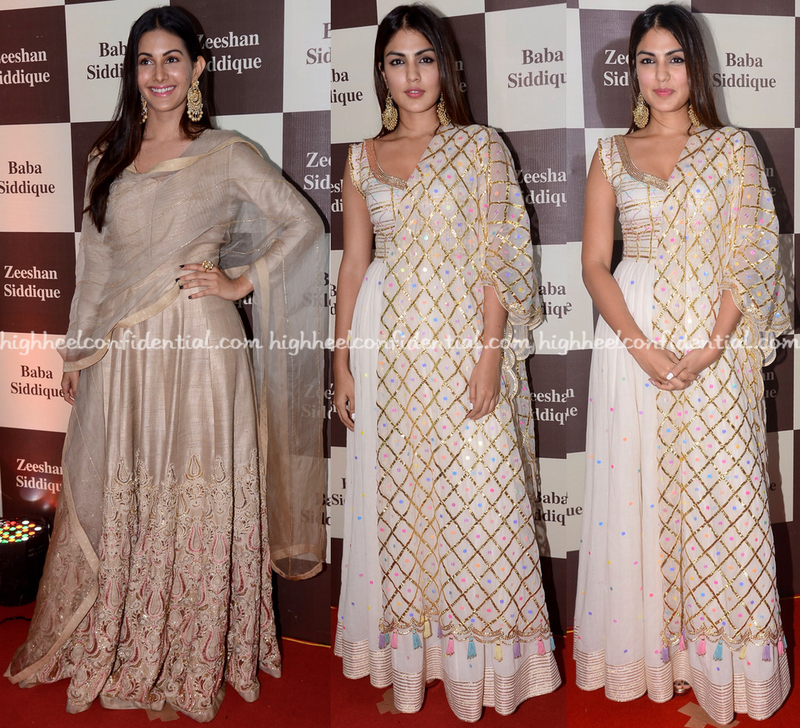 Wearing their hair down, the ladies rounded out the look with oversized chandbalis (earrings). Who among the two was your favorite? P.S: Amyra is in Jade and Curio Cottage jewelry and Rhea is wearing Sukriti and Aakriti. Both are gorgeous looking. Good they kept the earrings alone and not ott on the jewelry. Why do Iftar parties always attract the most tacky fashion in Bollywood? People, Iftar is not an invitation to pull out your tackiest, blingiest and most tent-like anarkalis. It is an Iftar, not a mujra. That being said, Rhea looks nice.